in 1923 = March on Rome - King Emmanuel the third was in power at the time and Mussolini threatens this government to hand over the power. facist= private ownership, aided by government, censorship of the media, imperialism ( expanding your empire), nationalistic, militaristic, non-democratic, totalitarianism. Acerbo Law- forced through parliament guaranteed that the party with the most votes would get 2/3 of the seats in the Chamber of Deputies. Socialist leader: Giacomo matteotti murdered for speaking out against the fascists. 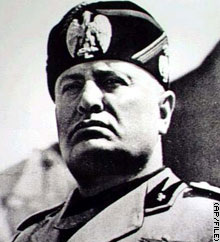 Mussolini was the founder of facism. 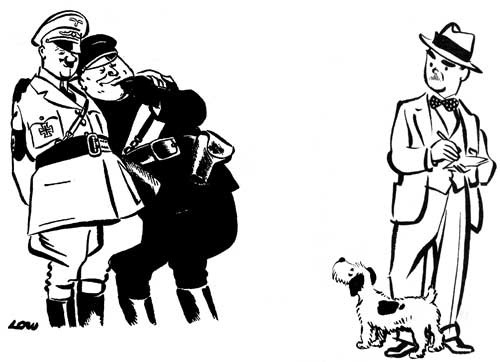 He used a private army, similar to Hitlers Blackshirts, to do the March On Rome of 1923. At this time, King Emmanuel the third was in power and Mussolini threatened to overthrow his government. The Acerbo law was created to guarantee that the party with the most votes would get 2/3 of the seats in the chamber of deputies. Mussolini needed the support of the catholic church, because they were the most powerful remaining body in Italy. So, Mussolini striked a deal with the pope and the catholic church, so that the Pope would keep control over religious education in schools, recognition as the state religion, and the right for the pope to rule his own state known as the Vatican.